While we were away on a 2 week break Bella had her birthday. So we managed to find some good friends who were on SUTS to celebrate with us all. 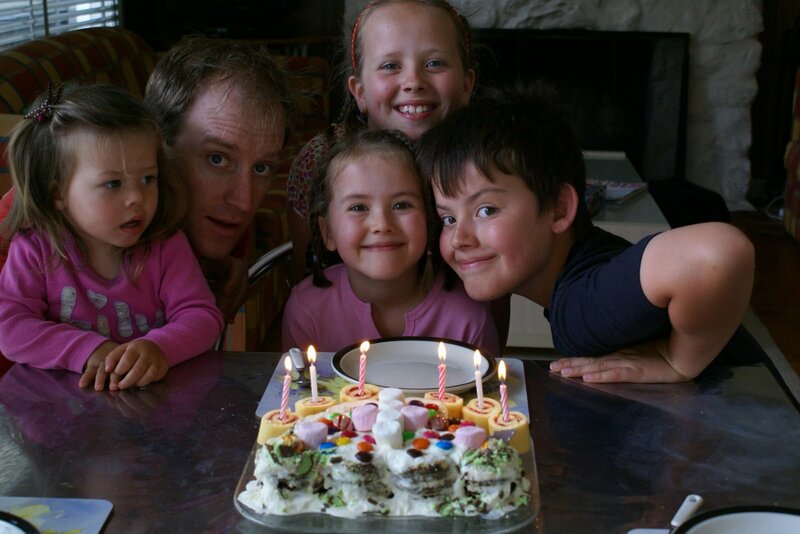 It does seem that year in year out we have her birthday at the beach, with makeshift party cakes. 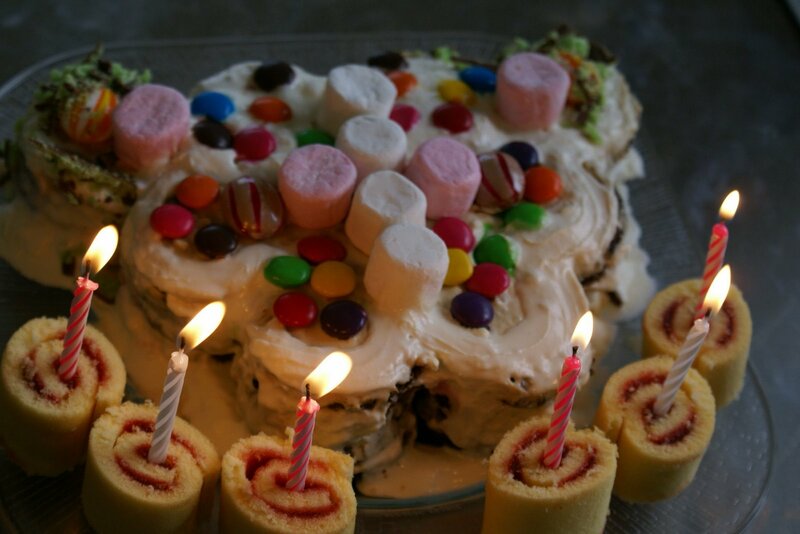 This year I bought a basic sponge and used lavish amounts of pink icing and lollies – it was a crowd pleaser! Oh and it did have the odd shell attached so that it would pass as an ocean treasure box. Bella had her ears pierced for her birthday and she was so brave. 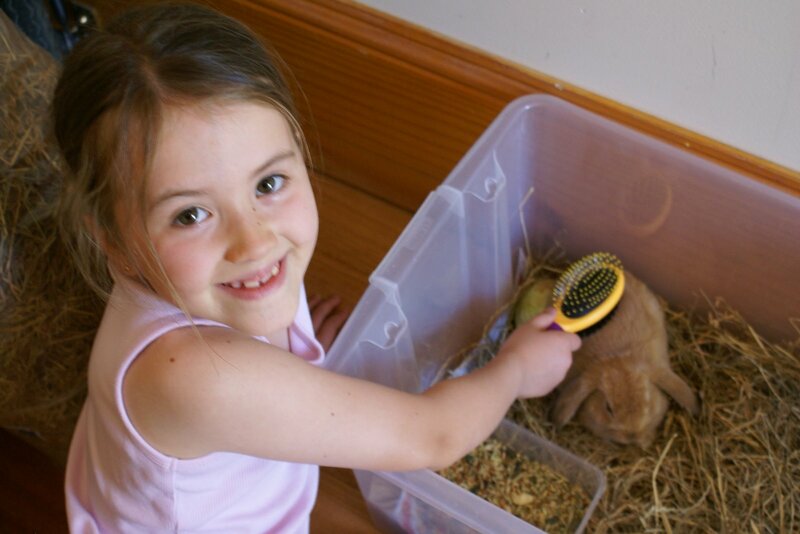 And yesterday she chose herBig present, a rabbit. 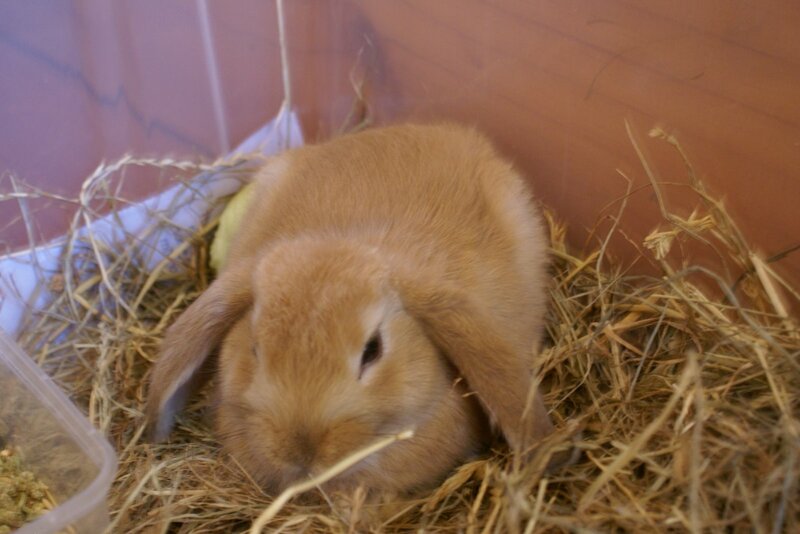 A gorgeous Lop Eared Ginger rabbit of 6 weeks, which has been named aptly, Ginger. We hope she survives as we are in the middle of the hottest 4 days in a century. I believe Ginger will get better care and attention than anyone, so I am hopeful! 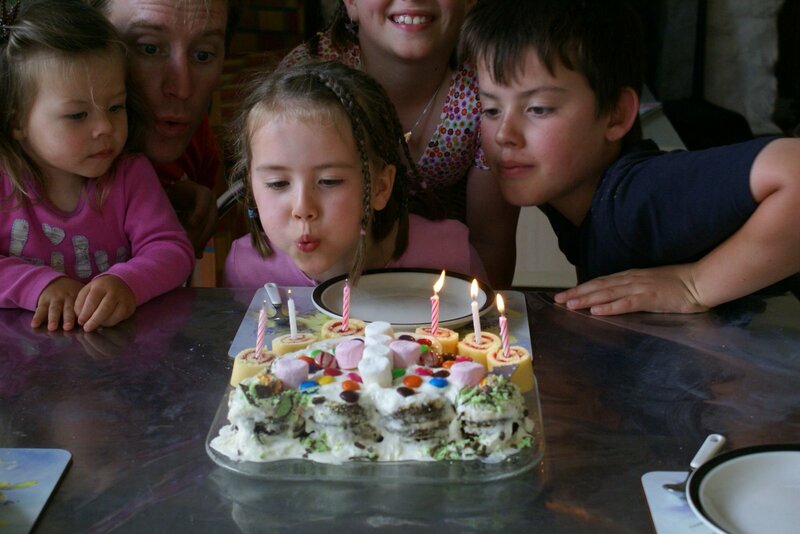 Author Susan BradbeerPosted on January 27, 2009 July 6, 2017 Categories Bella, birthday, holidays, rabbits, SUTSLeave a comment on The celebrations continues…. I must remember to bring cake tins and ingredients on family holidays. This is the second chocolate ripple cake Isabella has had – this time a butterfly. Without an electric beater in the holiday house I chose to try that truly awful cream in a can…….it loses its fluff in minutes. 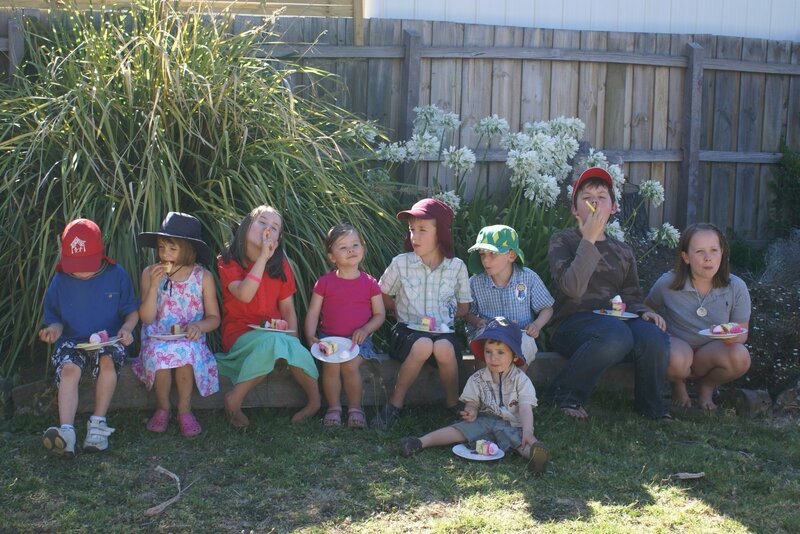 So here it is…..nothing a few lollies cannot hide! 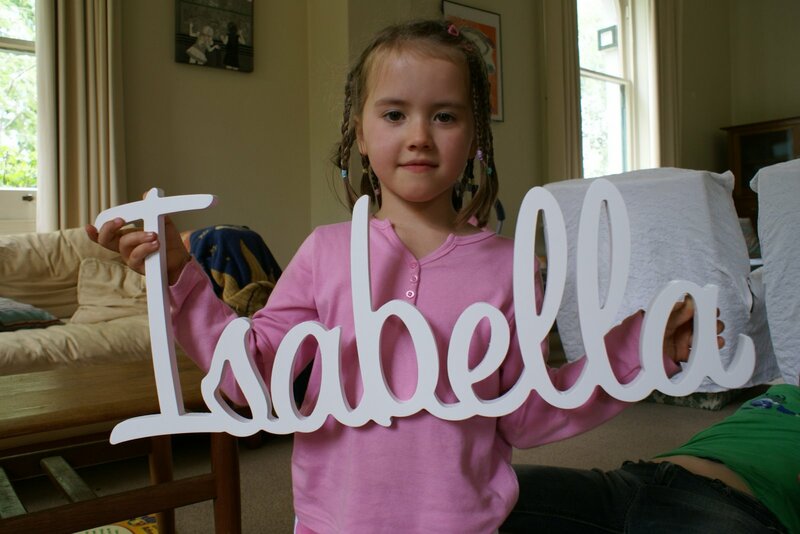 Isabella has loved her presents. 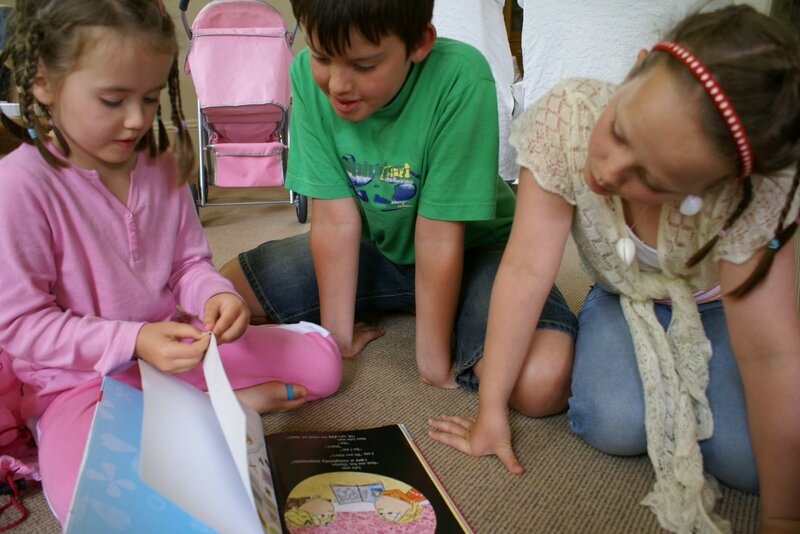 Note AA the fabulous Charlie and Lola book which has been a hit with the whole family. Lily recognised it from the spine as Bella unwrapped it. Thanks for all the love from the family/friends and Uncles and Aunts.